Hilarious catalogue in the mailbox this week - "Sporty's Tool Shop." We have a wonderful dog. 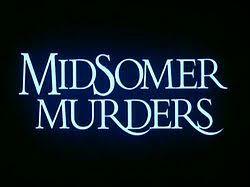 My long-suffering wife and I enjoy watching British murder mysteries. In fact, we reserve Sunday evening specifically for their viewing. Netflix, Hulu, and other sources provide a smorgasbord of great stories. However, I must admit a couple of things. One is that we watch for different reasons while agreeing that the story's the thing. But my wife likes to point out the gardens while I'm saying, "Look, there's a body over there!" We have also come to the conclusion that there are only 47 actors in the UK. We'll be watching an exciting episode and simultaneously say, "Oh, she was also in The Midsomer Murders," or "That guy was the killer in Broadchurch!" I mowed the yard today for the first time this season. We all know about the concept of "bucket list." That is a list of things we would like to see, experience, and/or enjoy that we have yet to accomplish. "Most writers are in a state of gloom a good deal of the time; they need perpetual reassurance," wrote John Hall Wheelock. Hey girl, what's your genre? As a writer, I am frequently researching publishers to see what they want, other than immediate best sellers, classics, and submissive authors. Recently, I had the joy of watching one of the endless parades of shameless politicians reach a new low of self-importance and self-promotion. I am happy to be back blogging after a brief hiatus to get my feet under me again. 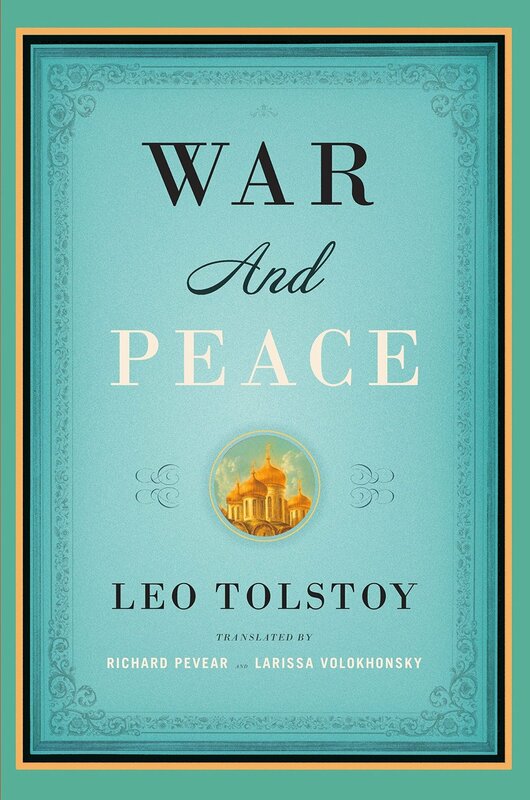 One goal I recently completed was the reading of War and Peace by Leo Tolstoy. I am not going to critique it because Woody Allen already did so: "It's about Russia." A common complaint about the novel, other than its length, is all the confusing names. Obviously, they're confusing and, being forewarned, I decided to give the characters American names; specifically, southern American names, to reduce my confusion. Natasha, for example, became "Peggy Sue," Dolokhof became "Bubba," and Rostof, "Billy Bob." And so forth. Worked for me, anyway. I must say, however, I took on War and Peace as a chore, an attempt to plug a hole in my literary education, an effort to quell a vague sense of guilt about my never having read it. And I was surprised to discover that Tolstoy is a master storyteller. Look for future hints on how to enjoy classical literature. I am here to help. Whether you realize it or not, your characters come out of your imagination gently supplemented from experiences with real people. At some point, all writers who are serious must, ironically, not take themselves too seriously. The fires in California are terrible, but they remind me of the time when I saved two states through my fire-fighting skills. It was a few years ago in Morganton, North Carolina when a raging forest fire was threatening civilization, a few moonshine operations, and marijuana fields back up in the hollers. The state was begging for volunteers, so I set aside my duties as an English instructor at Western Piedmont Community College, and joined the fray under the direction of professional fire fighters. I worked from dawn to dusk and discovered what hard physical labor was like. When we paused briefly for lunch, lounging on the mountain top, Hardee's brought us free food, which we inhaled. Then we went back to work. The men I helped were enormous employees of a tree company, and most of them were built like trees: Men with no necks and a coarse sense of humor, joking about the time they drove off the mountain in the bulldozer, or stepped up to their neck in a hole in the ground that held a still-burning tree stump. When I got home that night, I told my LSW that I was going straight to bed. She suggested I look in the mirror first, and there I saw a guy whose appearance was totally covered with black ash. My eyes and teeth were visible, and that was it. I took a shower. I did recover, eventually, and was pleased to learn my actions saved the states of North Carolina and Virginia from being burned into oblivion. So, if you're from either of those states, let me just say, "You're welcome!" I am now waiting for a call to save California. Rest in Peace, Mr. Olson, you were the best.